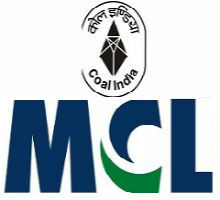 MCL Notification 2018.Mahanadi Coalfields has released a notification for the recruitment of Director Vacancy.Check the eligiblity and notification prior to apply for the positions. 1. JOB DESCRIPTION AND RESPONSIBILITIES: The Chairman and Managing Director is the Chief Executive of the Corporation and is accountable to the Board of Directors of the company and the holding company i.e. CIL, and Government of India. He/She is responsible for the efficient functioning of the Corporation, and for achieving its corporate objectives and performance parameters. 2. QUALIFICATION: The applicant should be a graduate with good academic record from a recognized University/Institution. Applicants holding Technical/MBA/PGDM qualification will have an added advantage. 3. EXPERIENCE: The applicant should possess adequate experience at a senior level in an organization of repute. Experience in Finance/Marketing/ Production will have added advantage. Experience in Coal/Mining Industry is desirable. 1. Last time/date of receipt of complete application duly forwarded to PESB is by 15.00 hours on 23/08/2018. No application shall be entertained under any circumstances after the stipulated time/date. Incomplete applications and applications received after the stipulated time/date shall be REJECTED. Board reserves the right to shortlist applicants for interview. Applications are to be addressed to Smt Kimbuong Kipgen Secretary, Public Enterprises Selection Board, Public Enterprises Bhawan, Block No. 14, CGO Complex, Lodhi Road, New Delhi-110003. (e) Private Sector: directly to the PESB.